To listen, or not to listen? Music has been with us from practically the beginning. Of the odd 200,000 years we humans have existed, music has been around for at least 167,000. With such an extraordinary legacy, it’s clear music has deep evolutionary ties to human culture. If music is so culturally resilient and universal, there surely must be some sort of benefit? The obvious benefit is for the love of it. The brain releases dopamine, also known as the pleasure molecule, every time we hear music we like. But music is already well known for its entertainment value – so much so, its other potential assets are possibly overlooked. 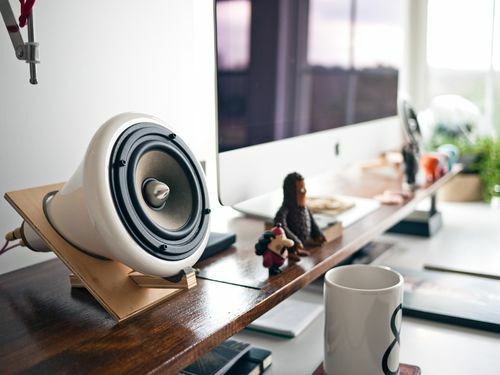 But what about the positive influence of music at work? On average, aside from sleeping - or watching TV believe it or not – there aren’t many activities that take up more of your life’s time than work. And let’s face it, work isn’t always enjoyable. Everybody has stressful days at work. Those days where you would rather be anywhere else. But it’s when those odd days turn to everydays, it might be time to change things up. Instead of clearing out your office though, maybe there’s a better way. Evidence for the benefits of music in the workplace goes back as far as the 1970’s. And it keeps on stacking up. It has been shown to reduce stress, elevate mood, enhance creativity and even increase productivity in a variety of work environments, even during surgery. According to the British Medical Journal music is played 62-72% of the time in the operating room. Choosing the most suitable type of music really depends on the nature of the duty at hand. Repetitive tasks do not require too much concentration can be accompanied by any type of music you enjoy. But for activities that require a higher level of cognition songs, such as reading comprehension, or ones that require memorization, music without lyrics seems to encourage better performance. Otherwise it can act as a distraction and have an adverse effect. 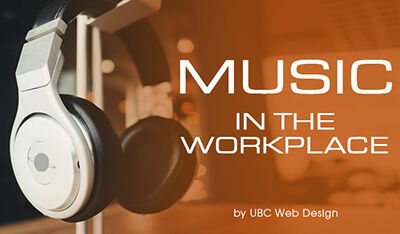 Deciding what style of music is best suited to your own workplace depends on your type of work. If it requires music without lyrics, classical artists and videogame soundtracks come highly recommended. Especially videogame soundtracks, which are tailored to keep you engaged and stimulated without distracting you and deteriorating gaming performance. Remember to change it up every now and again. Not just the types of music you listen to but when you have it playing. Sometimes it is best to have it off for a while otherwise the positive effect seems to lose its potency. Next Post: An introduction to Gimp - Free image editing software!